In the opinion of film director Andrei Konchalovsky the true herald of liberal reform in the Soviet Union was Yury Andropov, not Mikhail Gorbachev. 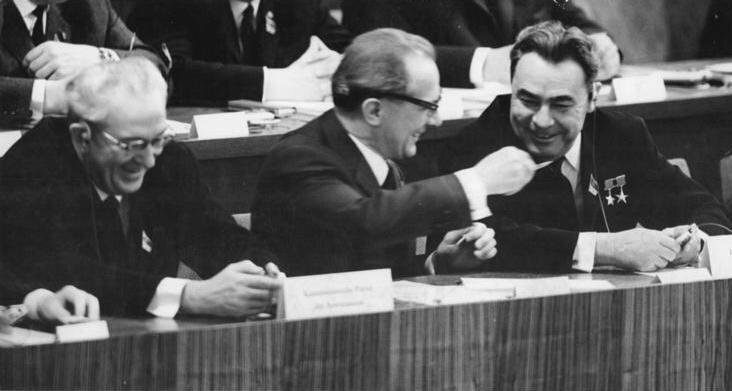 Irina Borogan asks if this is the same Andropov who headed the KGB through two of its darkest decades, who crushed dissidents by incarcerating them in psychiatric wards, and who Putin's propaganda machine has recently attempted to rehabilitate. The myth of Andropov as a liberal is one that was dug out of dusty Soviet store-rooms at the turn of the millennium, when Putin felt the need to explain to society why the secret services were beginning to play an increasingly important role in society and why KGB alumni were being installed in top positions in government and business. Retired generals and colonels, who had not played any visible part in creating business empires, had to find arguments justifying their involvement in affairs they knew nothing about. Since they were unable to come up with any new ideas, they resorted to one that was tried and tested: presenting the Soviet secret services as a conduit of progressive economic ideas and covering up their repressive role. In the summer of 1999 a campaign was launched to rehabilitate Andropov, who in the 1990s had been regarded by both the government and the state media as a persecutor of dissidents and a man whose methods of dealing with the economy had been forcible but ineffective. 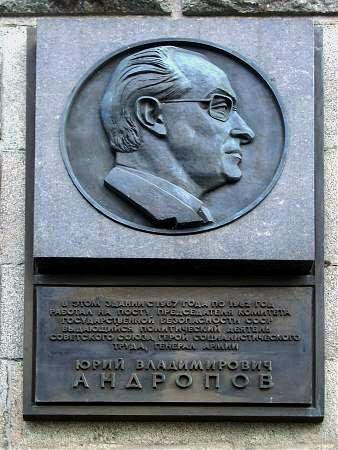 A memorial plaque bearing Andropov's portrait reappeared on the FSB building in Lubyanka Street, from where it had been removed in August 1991 after a frenzied crowd toppled the nearby statue of Dzerzhinsky, boss of the first Bolshevik security service. 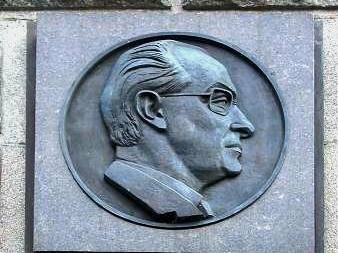 In December 1999 Prime Minister Putin attended the unveiling of the memorial plaque and the resurrection of the Andropov myth became part of the government agenda. Its aim was to demonstrate that the secret services were capable of breaking the deadlock in Russia. 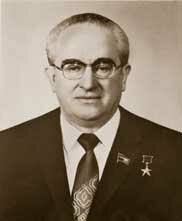 In fashioning this new image of Andropov the FSB studiously omitted many facts of his life, particularly since that life did not readily lend itself to hero status. He spent the Great Patriotic War as a party worker behind the lines, while most of his fellow countrymen were risking their lives at the front. Later he spent nearly twenty years as the ruthless head of the KGB, overseeing the ever- intensifying persecution of dissidents. Andropov was now being presented as a leader who had found effective solutions to the country's political, social and economic problems. He suddenly turned into an economic genius of the system and a man who, following long years of stagnation under Brezhnev, had been about to launch a programme of economic reforms. It was as if he had actually initiated the perestroika subsequently proclaimed by his successor, Gorbachev. In Andrei Konchalovsky's version Andropov would have implemented perestroika more effectively than Gorbachev, even though it is common knowledge that Gorbachev was the one who first allowed private enterprise and political parties and freed dissidents from prisons. Under Andropov the manager of a Moscow food shop who had engaged in what a liberal economic model calls entrepreneurship was executed, and the role of the Communist Party of the Soviet Union remained unassailable. It was on his watch that the Fifth Directorate for countering dissidence was established and dissidents were routinely sent to psychiatric hospitals, from which they emerged crippled. It was rumoured that the 1956 revolution in Hungary had left an indelible mark on Andropov who was Soviet Ambassador at the time and watched from his window as officers of the Hungarian secret service were hanged from lampposts. But of course, none of this was mentioned. It is indicative that Andropov's new image was created using the very same methods he himself had applied in the 1980s to resurrect the cult of Dzerzhinsky and for the same purpose: the justification of secret service interference in the economy. In Soviet propaganda the head of the Extraordinary Commission (Cheka), notorious for unleashing mass terror, was presented as a modest man who slept on an iron bed and would only eat to stave off starvation, as well as the man who had rebuilt the railways and the national economy. Any discussion of Dzerzhinsky's main activity – the persecution of class enemies – was replaced by a description of his personal traits, while only a few selected positive details of his professional life were presented to the public. The same pattern was used in the 2000s to resurrect the cult of Andropov. In 2004 a three-metre-high statue to Andropov was erected in his native Stavropol Territory and the FSB Academy introduced student scholarships bearing his name. Several books glorifying Andropov were also published in the same year, including one by the historian Roy Medvedev, who in the past had exposed Stalinist repression. The myth-makers gradually lost all sense of proportion. In 2001 Vladimir Shults, then First Deputy Director of the FSB, declared that the security service had given the country a whole pantheon of great leaders. He listed the members of this cohort: Feliks Dzerzhinsky, Yury Andropov, Sergei Stepashin (FSB Director from 1994 to 1995 and Prime Minister from 1997 to 1998), Vladimir Putin and Nikolai Patrushev (the head of the FSB at the time). Nobody knows what effect this new mythology had on Russia's citizens in the 2000s, but 30 years ago even the Western media fell victim to Soviet propaganda and presented Andropov as a modest, ascetic and intelligent man. 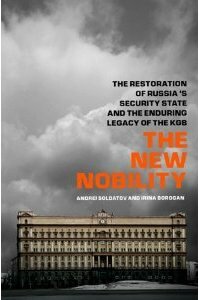 The myth of Andropov as a liberal was dug out of dusty Soviet store-rooms at the turn of the millennium, when Putin felt the need to explain to society why the secret services were beginning to play an increasingly important role in society and why KGB alumni were being installed in top positions in government and business.